In the wise and immortal words of Checkers, "You gotta eat." You might as well know what you are doing. And it is in that vein that we have put together this list of things you are most likely to see on the average menu in Bali (and maybe how to pronounce it!). An Indonesian restaurant is called a Warung. This is what I'll be writing from now on. Every single Warung we have been to has had "Western" food on the menu, usually in a section of the menu titled "Western." This submenu usually includes anything from pizza to burgers (but the Australian use of "burger," which translates to literally everything you can fit between two pieces of bread) to schnitzels (more that Australian influence). We have not partaken in any of this fare, preferring to eat the food cooks know how to best cook (when in Rome don't get McDonalds, right?) but it is there in case the mood strikes. 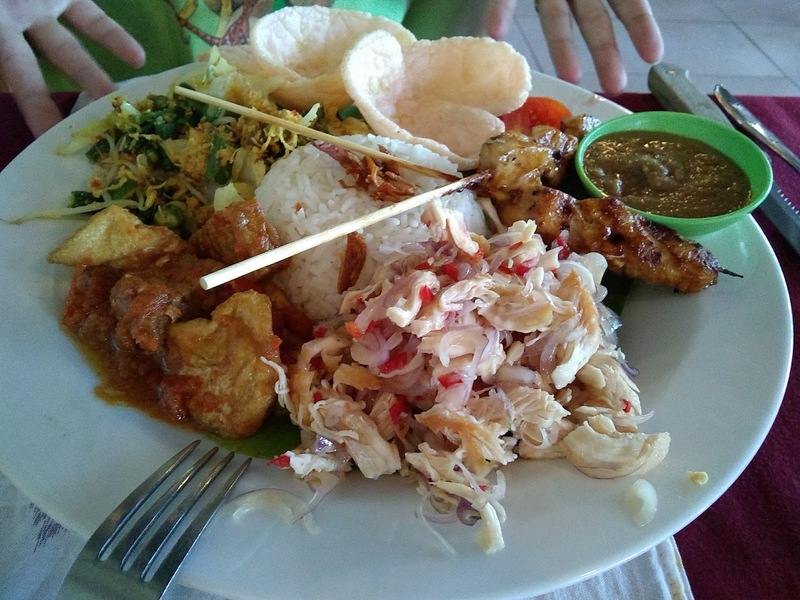 Nearly every Warung we have gone to has at least some, if not all, of these following offerings (the variety is usually in what Western food is made, not Indonesian/Balinese), but with a huge irregularity on price. In general, Warungs on busy streets cost more than ones on back alleys, ones that look overly decorated cost more than ones that are bare, and ones that have lots of Western options cost more than ones that don't. And if you still can't find a cheap Warung, just ask a local, "Where is good, cheap tempeh?" They'll tell you. Food in Bali is almost always spicy but not too spicy. No one is trying to prove anything here by melting your face off, but if you are the sort of person that begins to sweat when thinking about too much crushed black pepper, then I'd consider asking for a not spicy version of things. I am writing this on the 17th of October, 2017 (This date will be updated every update). As of this writing, one US dollar will get you 13,506 rupiah. So, without any further ado, bring on the food!!! 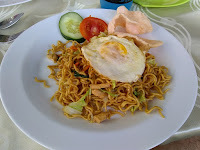 Mie Goreng (or Mi Goreng), pronounced 'me go-rang,' is one of the standards that has been on every menu we've looked at. Highly seasoned and combined with some veggies (beans, cabbage, chilis, as examples), this is reminiscent of ramen noodles, but without the soup part. It is uniformly delicious, always satisfying, and usually one of the cheapest things at the Warung. Combined with a cold Bintang, you've got one hell of a good meal. Typically it is served with chicken (ayam), but sometimes you can find it with pork (babi) or fish (ikan). Occasionally, it has an egg included with it (as pictured), but this is only at the coolest of places. You should expect to pay between 15,000 and 30,000 rupiah for this (and the more you pay, the more you should expect... never pay 30,000 for noodles without meat or egg included!). 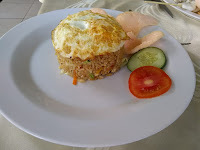 Nasi Goreng, pronounced 'nah-see go-rang,' is the other standard that has been ever present throughout Bali. I assume you know what fried rice is, and this is the Indonesian take on that. Every Warung does this just a little bit differently, using different veggies and varying amounts of egg (or no egg), but we've yet to have a bad one. If you want something predictably satisfying, this is your meal. Like Mie Goreng, it usually comes with chicken (ayam), but occasionally we've seen a "Nasi Goreng" section of the menu listing nearly every protein to go along with it. The one pictured has an egg on top, but this is the only time we've seen that. You should expect to pay 15,000 to 30,000 rupiah for Nasi Goreng, with the higher prices including more (including meat and eggs). Gado Gado, pronounced 'gah-doe gah-doe,' should be a top choice for vegetarians and non-vegetarians alike. 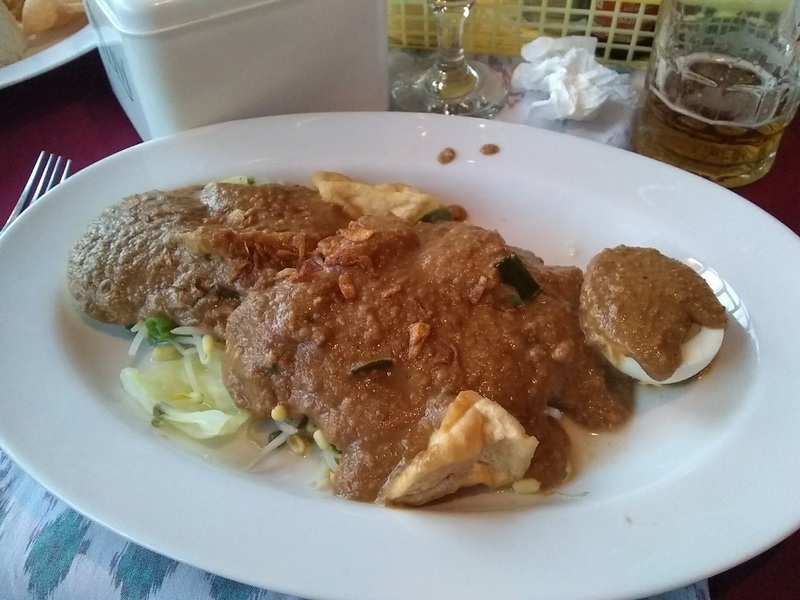 Gado Gado literally means, "mix mix." Fermented soy beans curd (tempeh), tofu, egg, veggies all topped with peanut sauce? Sounds great? I admit, this one was not something I would have normally ordered before arriving here, but we took a cooking class in which we made this and I had to try what I made. Turns out Gado Gado is now my go-to food when I am sick of everything fried. It will fill you up, is very high in protein, makes a nice change of pace from having noodles or rice with every meal, and is super (duper) tasty! Expect to pay 15,000 to 25,000 for Gado Gado. Because it is traditionally vegetarian and not served with rice, there aren't really any 'add-ons' that make it worth paying a higher price for. Nasi Campur, pronounced 'nah-see chahmp-purr,' is for the rice lover that want to try a little of everything. The only consistent ingredient to Nasi Campur is rice. Everything else is sort of dealer's choice. 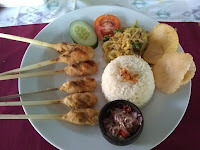 In the picture, there is sate (or satay), tofu in sambal (spicy, tomato sauce), ayam in Balinese sauce (chicken with sweet shallots, chilis, lime juice, and coconut oil), uraban (a cold salad, in this case with beans, coconut, fried shallots, bean sprouts, cabbage and key lime), and peanut sauce. Sometimes a Warung will consistently put the same thing on a Nasi Campur plate everyday but just as often it'll be different time after time depending on what they have in surplus. 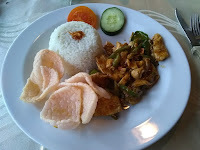 Expect to pay 20,000 to 35,000 rupiah for Nasi Campur. As typical, try not to pay more for places that offer less food. 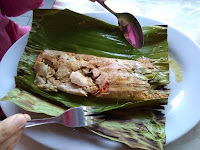 Pepes, pronounced as you would multiple Pepe's, as in 'Pepe Le Pew,' is the Indonesian answer to tamales. Pepes may have been derived from a name for a banana leaf, but now seems to be primarily associated with the dish. How to make Pepes: first take a protein (fish, chicken, tofu, etc., the one pictured is with tuna) that you've thoroughly covered in tasty seasoning (salt, chilli, shallots, garlic, turmeric, ginger, lemongrass, curry leaf, candlenut, tamarind, tomato, and lemon basil all mushed together until it is more or less a paste), secure it in a banana leaf (ingeniously utilizing a bit of bamboo to keep it together) and cook (usually by grilling). The banana leaf adds a little bit of aroma and acts as a fun little challenge (like a mini Christmas present everytime!). Normally served with rice and a cold Bintang. Tasty!!! Expect to pay 30,000 to 40,000 rupiah for one big Pepe (I don't know if the singular of Pepes is Pepe, but just roll with me here) or a few smaller ones. It should include rice in this price. Obviously, the more Pepes on the plate, the more you should expect to pay. Rendang, pronounced 'ren-dang' but quickly, follows the ancient recipe of combining meat with tasty sauce and serving with rice. Rendang = freakishly tasty. Actually, this is a lie. I don't know what Rendang means in Indonesian or why it is called that. But it certainly means "freakishly tasty" in my vocab. Imagine you have a tasty coconut curry, but you cook it down (with the protein in it) until it goes from soupy curry to thick sauce and serve it with rice (and a cold Bintang). You have just, more or less, imagined Rendang! Supposedly, this process renders the dish relatively shelf stable, explaining its popularity in pre-refrigeration times, and incidentally makes it delicious, explaining its popularity since then. And if you can't tell from the frequent laudings, this is a favorite of Warren. Expect to pay 30,000 to 45,000 for Rendang. There is a lot of protein in it, which tends to increase the price, and certainly takes quite a bit of prep time for the Warung. Also, we never find this one in the small, one cook who also serves, style of Warung, so you may have to go to a bigger one (i.e. more expensive one) to find it. But it is worth it! Sate Lilit, pronounced 'sah-teh li-lit' with the "li" being pronounced exactly like "lit" without the "t," is the Balinese take on Indonesian Sate. We made Sate Lilit in our cooking class, and the way we made it was to grind seasonings (salt, chilli, shallots, garlic, turmeric, ginger, lemongrass, curry leaf, candlenut, tamarind and tomato) in a large mortar and pestle until they were paste, then remove all that you could easily pull out with your hand and put chicken into the mortar (along with whatever seasoning paste was left in the mortar) and smash until the chicken looks like "mashed potatoes." Then you form around the end of a bamboo stick and cook over embers made from the shells of old coconuts (after the meat has been removed for the production of coconut oil). Simple. Tasty. 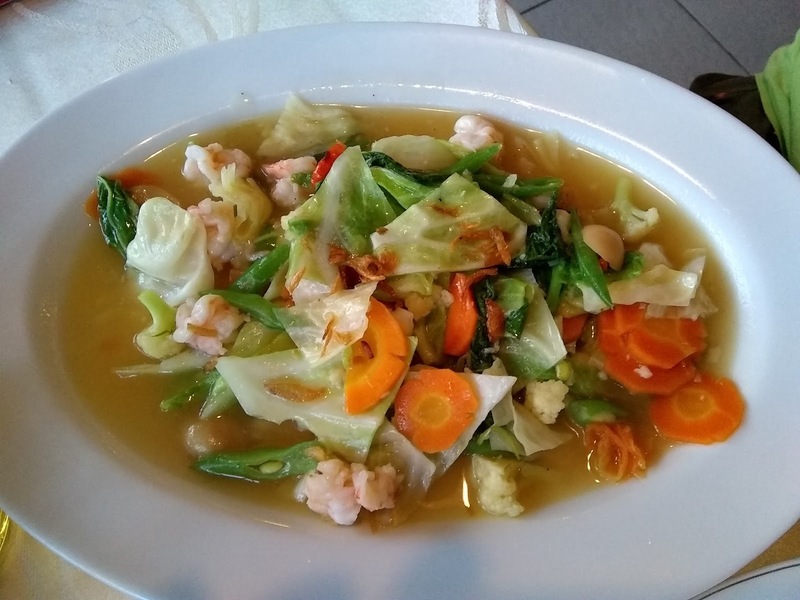 Of all these dishes so far on this list, this is the first one you are both only likely to see in Bali (as compared to the rest of Indonesia) and likely to buy from a street food vendor. The cost on this one is going to vary a lot. Each individual sate may have one bite on it or three. You may be paying for each sate separately or a plate may come with six or seven. Two easy ways to figure out what you should be paying are to ask someone who doesn't work at the warung you are buying from and figure out how much you'd like to eat for a meal, attach 40,000 rupiah to that amount and work backwards (you'd like six sate lilits? Then expect to pay 6,000-7,000 rupiah a piece, as an example). Babi Kecap, pronounced 'bah-bee kehtch-up, is the Chinese food style entry on many menus (still done Bali style!). Are you ever not in the mood for a sticky-sweet-salty-tasty sauce on fall-apart pork served with rice? Well, I'm not. 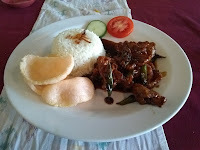 As you may have known, most of Indonesia is Muslim, which means they don't eat a lot of pork (it even made the top of the list of prohibited foods on Wikipedia). But, there is also a bit of a Chinese population here, most of whom are either Buddhist or Christian, who have no beef eating pork (see what I did there?). This group is credited with inventing Babi Kecap. The Balinese are predominately Hindus, most of which eat pork, and also love a tasty meal. So they found Babi Kecap, loved it, and now make it all over Bali. Oh, and for fun, check out how 'kecap' relates to the work 'ketchup' here! Expect to pay 30,000 to 45,000 rupiah for Babi Kecap, as it is a protein driven meal which tends to increase the price a bit. Also, we have only found it at some of the nicer Warungs which charge a premium. Cap Cay (or Cap Cai), pronounced 'chap chai (as in the tea),' is as satisfying as a hot bowl of soup, because that is what it is. Cap Cay derives from Chinese, and more or less means "mixed vegetables." Saute up some veggies (carrots, cabbage, cauliflower, green beans, some sort of greens like collard or spinach), combine with seasoning (garlic, onion, soy sauce, etc. ), protein if you want it, fill with water and cook until combined. You've just made delicious Cap Cay! We get it a lot when we are tired of eating piles of carbs and meat and really want a big bowl of veggies. It works great with any protein (the photo is of shrimp Cap Cay), and makes you feel like you're being healthy. Expect to pay 20,000 to 35,000 for Cap Cay. That price range should include rice and a variety of different protein options, although many of the very small Warungs only include chicken since that is the only protein they have available. Sate (or Satay), pronounced 'sah-tey,' is the OG of the Indonesian food scene. Although many countries claim to have been its birthplace, this one is all Indonesian. Cut a protein into small chunks, skewer said chunks unto a bamboo stick, season generously, cook whole thing over some coals and serve with peanut sauce (frequently referred to in the west as "satay sauce" due to its common association with Sate)? What's to complain about? Warungs sell them, street vendors sell them, heck your mom probably sells them (burn!!!!). 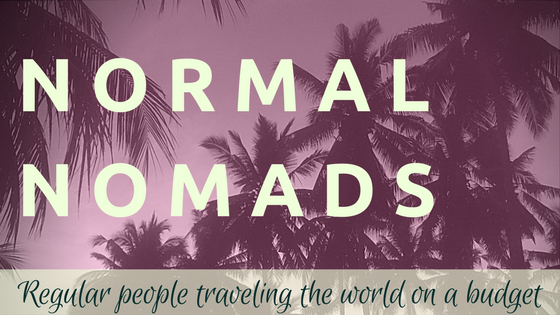 They are as ubiquitous in Indonesia as Indonesians. 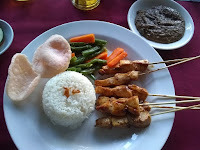 Expect to pay 25,000 to 45,000 rupiah for Sate (this is a fully meals worth). Costs are going to vary a lot, since it is just as common to sell Sate individually as it is to sell them as a full plate. Either way, they are a lot of protein, so expect to pay more than you would for a rice heavy dish. If you are buying them individually, assume a full meal is 40,000 and work backwards from how much you'd eat (if you were a normal person). Are they big and 4 would be enough? Then 10,000 is reasonable. If they are smaller and you'd need 8 to be full, then look more for 5,000. Sauce should be included. Bakso, pronounced 'bahk-so,' is what you get when all you want is delicious and filling soup. 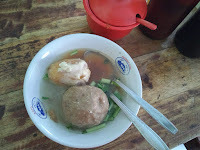 Bakso = meatball (the big round thing in the bottom of the bowl). Even in a tropical climate, if you spend long enough you will want soup eventually. Especially if it super cheap, really tasty, and available on almost every corner. Let's say you are visiting Bali and want some Bakso, all you need to do is look for the small metal and glass carts that say "Bakso" on the side (these are sometimes attached to scooters, other times on wheels and formed like a rickshaw, and occasionally just permanent), walk up and say "One please!" 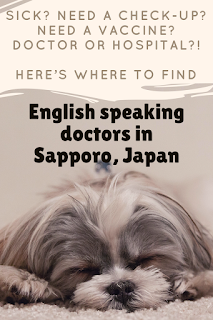 Often they will look at you with some surprise (I get the impression Westerners don't often approach these carts) and then either ask you some questions or just start making it for you. If they ask you questions, here is the answer: Yes. You want everything included and you want it to go. They will mix all the sauces (sweet soy sauce, spicy hot sauce, and some sambal or ground peppers) add one (very large) meatball, frequently a fried hard-boiled egg (top of the picture), some green stuff, some noodles, and broth in a plastic bag and then tie a knot in the top and hand it to you. You then take it home, pour it in a bowl, and enjoy! 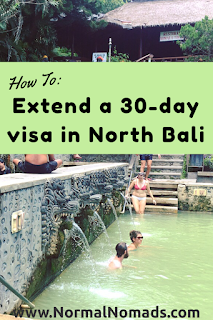 Expect to pay 10,000 to 15,000 rupiah for Bakso (depending if you'd like an egg with it). We didn't notice much in the way of price variance on this one. So, this is one of the best (and tastiest) values you can find throughout Bali. Tipat Cantok, pronounced 'tea-pot chahn-tock,' is what you want for breakfast (even if you don't know it yet). Tipat is a sticky and soft rice cake. Cantok (I think!) means "all mixed up." Take chunks of sticky rice that have been cooked until they hold their shape in a mold, combine with some fried tofu, kangkung (sort of mix between kale and spinach), green beans, and bean spouts, and then cover it all with a healthy amount of peanut sauce, some sweet soy sauce, and the perfect amount of sambal (ground peppers), serve it all cold and mixed up, and you now have an amazing breakfast meal. 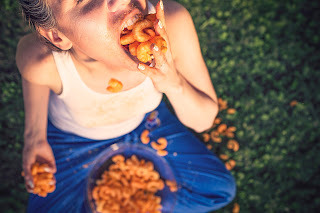 Seriously, once we discovered that this was a thing, we ate it nearly every day. Not everywhere serves Tipat Cantok, in fact it seems to be reserved for the only the smallest Warungs (the ones that look more like a small shop than a restaurant), but don't let this deter you. You want this. Expect to pay 7,000 to 10,000 rupiah for Tipat Cantok, depending if you want some shrimp crackers with it (you do). Combine it with a nice cup of Bali kopi (coffee done Bali style) and you have the cure for a night of too much Bintang!